Our nurseries employ fully-trained cooks to offer a menu that contains all the necessary nutritional requirements your child needs, prepared on the premises, using fresh local produce wherever possible. 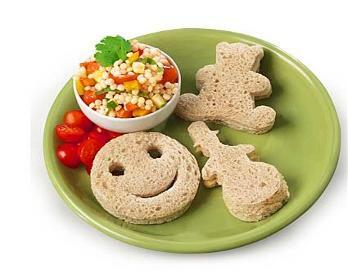 "Children enjoy a wide range of healthy and nutritious meals and snacks. 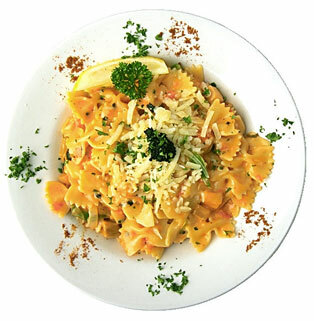 All are freshly prepared by the cook on a daily basis who effectively sources local produce to ensure fruit and vegetables are as fresh as possible. Meals include home-made soups, casseroles and roast dinners, all of which are very well received by the children.” Ainsdale Ofsted report 2007. 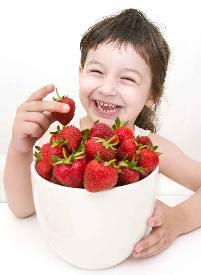 Children given high sugar content foods can become less focused and experience mood swings. When they are given a balanced diet they become more eager to learn, appear happier and sleep better. We limit the sugar content in all our recipes and do not add salt to any of our meals. We are committed to using quality products from our food suppliers that are low in 'E' numbers, salt and sugar. The food can be traced from 'gate to plate'; we know where and how the ingredients are sourced, packed and transported so that we can be confident that our children are enjoying safe and wholesome food. Babies in our care will be fed with the milk requested by the parents and their mealtimes dictated by their routine at home. They will be cuddled while they are fed, just as they would be at home. At weaning stage, we feed freshly pureed food in a floor chair. We tell you what they eat and how much, again, keeping to the routine they have at home. Older children sit and eat together. They learn necessary skills for social eating, how to use cutlery, share food and are encouraged to try new things. Our staff take part in mealtimes and chat with the children, helping them to differentiate between healthy and not so healthy, foods. As well as main meals, we provide snacks of fresh fruit and vegetable segments throughout the day that the children can help to prepare. By becoming involved, they are more likely to taste new foods and quickly begin to recognise different fruit and vegetables. Fresh drinking water is available all day, children have their own named drinking containers. The food we prepare needs to look good and taste even better; it is no use to anyone if the children don't want to eat it! We are always happy to discuss your child's eating habits with you, whether it's their individual needs or special dietary requirements.